I’m pleased to advise that the Gallery has reached an important project milestone with the submission of the State Significant Development Application to the NSW Department of Planning and Environment for the expansion of the Art Gallery of New South Wales. The application is now on exhibition for public comment until Friday, 15 December 2017. The Development Application is available on the Department’s website at www.planning.nsw.gov.au/sydneymodern and copies of the application are available at the NSW Department of Planning and Environment office (320 Pitt Street, Sydney, NSW 2000), NSW Service Centres and City of Sydney Council office (456 Kent Street, Sydney, NSW 2000). Written submissions about the Development Application can be made to the NSW Department of Planning and Environment online, by post or email. All submissions will be considered as part of the Department’s assessment of the Development Application. We have been working with our colleagues at SANAA since 2015 to create a landmark building that will significantly extend our capacity as the state’s art museum to create more space to display many more of the greatest works in our collection and engage people through new curatorial ideas and learning practices. The new building will almost double the exhibition space of the existing building. This is in addition to a number of publicly accessible outdoor spaces that will allow for the display and enjoyment of art, including a public art garden, entry plaza, courtyards and three accessible roof terraces. Further, the expansion will increase the amount of internal gallery space dedicated to the permanent display of Aboriginal and Torres Strait Islander art by 33%. The Aboriginal and Torres Strait Islander Gallery will be the first gallery to welcome visitors in the new building, with Aboriginal and Torres Strait Islander art also part of the curatorial narrative across the expanded Gallery. Scheduled to open in 2021 for our 150th anniversary, the expanded Gallery will build on our history of innovation and leadership with a meeting of art, architecture and landscape. The new and existing buildings will create an expanded art journey for visitors with exceptional indoor and outdoor spaces for art in all its evolving forms, and more opportunities to learn, create, engage and discover. SANAA’s design is a separate, stand-alone building located north of our existing and much-loved historical building. The new building comprises a series of low pavilions with landscaped areas that maximise open space for the public. A key element of the expansion is the adaptive re-use of former naval oil tanks into a contemporary art space unique in Australia. Located between the Domain, Royal Botanic Garden and Woolloomooloo Bay, the Gallery is part of a significant cultural and civic precinct. 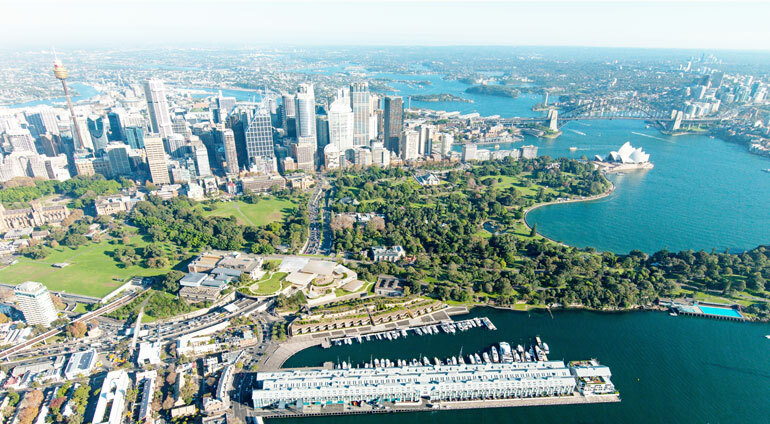 Our vision is to create a more bio-diverse landscape, enhanced pedestrian links and improved universal access between Woolloomooloo and the CBD that will strengthen the 138-year historic association of art and cultural facilities in the Domain. With this expansion, Australia will gain a new cultural meeting place – a place where ideas, artists and people intersect and culture is enriched by art and exchange in one of the world’s most beautiful settings. I look forward to hearing your thoughts on the future of an expanded and transformed Art Gallery of New South Wales, and thank you for your interest in the project to date.